The Law Office of Peter Broida provides representation in replies to adverse action and performance-based actions; initiation of whistleblower reprisal complaints with OSC; MSPB appeals throughout the country; Federal Circuit review of MSPB decisions; arbitration of federal sector grievances; EEO hearings and appeals; mediation; settlement negotiations; and VA Disciplinary Appeals Board representation. Most of our representation is for individuals. We represent unions for issues that develop during the bargaining relationship and on a case-by-case basis. We provide advice or representation to federal agencies-usually small agencies that need counsel specialized in civil service law or larger agencies with a conflict of interest within a management group or within agency counsel's office. Mr. Broida is a federal civil service lawyer. He graduated NYU Law School in 1973. He's been practicing employment law ever since. 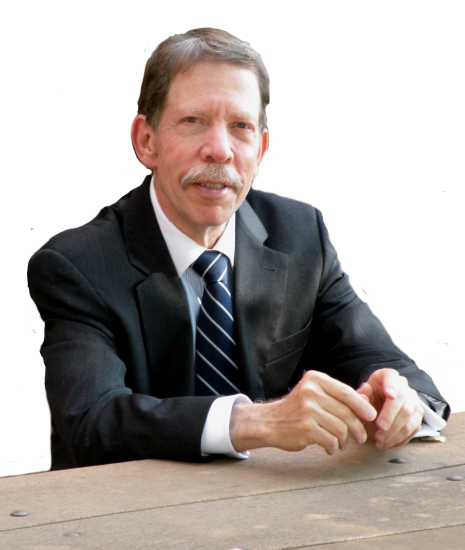 Following work with AFGE's General Counsel's Office starting in 1978, and private practice since 1980, Mr. Broida's concentration is on MSPB, EEO, FLRA, arbitration, Federal Circuit, and VA Disciplinary Appeals Board cases. He represents employees throughout the country, unions, and federal agencies requiring specialized counsel. THE INTAKE: You call our office and some basic information about you and the issue is taken by the person answering the phone. Based on the intake, we determine whether it is in your best interest to proceed with a consultation and possible representation. THE CONSULTATION: We review your case and offer our advice on the merits of the case or situation, whether representation is advisable, and, if so, what the process entails and what the likely cost will be. The consultation usually last from 30 minutes to an hour, and the charge for the consultation is $200. REPRESENTATION & RETAINER: Representation is through a written retainer agreement explaining the work to be done, the hourly rate to be charged, and the advance retainer payment that is placed into a trust account against which our itemized monthly bills are paid. This is a representative sampling of cases litigated by Mr. Broida. It includes some cases where the client prevailed and some where the client did not prevail. The purpose is to show the type of litigation handled by Mr. Broida. Understand that case results depend upon a variety of factors unique to each case. Case results do not guarantee or predict a similar result in any future case undertaken by Mr. Broida. Litigation is an unpredictable business, with one exception: the investment of time and expense. Review some of the appellate court cases litigated by Mr. Broida by google searching for: peter & broida "court of appeals for the federal circuit"
Please call The Law Office of Peter Broida to speak with a staff member about obtaining a consultation or representation. Disclaimer: Sender/Caller is responsible for all deadlines or other actions that may be necessary to protect their interests and we do not assume any responsibility for their situation or deadlines until there is a signed retainer agreement. Disclaimer: The website for the Law Offices of Peter Broida is designed to provide general information to the public and is not intended to offer legal advice. The law offices of Peter Broida does not intend to create an attorney-client relationship by offering this information and the use of any information given on this site shall not be deemed to create an attorney-client relationship. You should consult an attorney if you have a specific legal question or problem. If you wish to inquire about our services, please contact us directly; contact information has been provided above. Copyright 2018 Peter B. Broida All Rights Reserved.